Is it possible to combine all five chakra elements? Even later, we find about combinations of even more elements by ninja who can master several elements, such as Muu (Nidaime Tsuchikage) and Oonoki (Sandaime Tsuchikage), who can combine Katon, Doton and Fuuton, to create Jinton. These are called Kekkei Touta. I don't know if they can also be transmitted through Kekkei Genkai, or if they can only be taught. They are even rarer than the ones above, since ninja can rarely master or be naturally affiliated to more than two chakra natures (Terumii Mei the Godaime Mizukage, can also master Doton, Katon and Suiton, but I don't think she ever combines more than two at each time). Are combinations of chakra natures taught or only transmitted by Kekkei Genkai (or both)? Are combinations of more than three chakra natures possible? Chakra element combination is supposedly a born trait. A Shinbo is born with one chakra element, and can master a few more (secondary elements). However, in some clans, such as the Senju, they were born with two elements, (both Earth and Water), and they could naturally combine them to form the Wood element. Since we only thought that two element combinations were possible, and we discovered that three were indeed possible, I see no reason why there isn't a possibility for four or more. EDIT! Based on the latest manga chapters, it seems as if at least 4 element combination is possible. Although it's an initial estimate and the Third might be wrong about it. We do have some examples for ninja mastering all five chakra elements, Kakuzo is a great example. He had all five, Water, Earth, Fire, Lightning and Wind, in one body (though he did cheat and used 5 different hearts for it). So it is possible. It is also said that those who awaken the Rinnegan can master all six elements (Including the YinYang element). About mixing them together, since that hasn't happened yet, we can't be sure. Six Paths Sage Chakra, which creates the Gudodama is called Kekkei-Mora and was confirmed to be a combination of all 6 elements: Fire, water, earth, lightning, wind and YinYang. I think combinations of Chakra are generally possible only through Kekkei Genkai, even if some can be "passed" by transplantation (e.g. Kakashi and the Sharingan). Although, there's the issue of Lord Tsuchikage that in the Manga claims his master passed on to him the ability to combine Earth, Wind and Fire. It's not revealed whether they share some blood relation so I'd treat this with a grain of salt. There is Kekkei Tōta which is a combination of three elements (such as the Dust Release), and this is already classified as advanced, so I guess that for now, they aren't revealed as possible. Katon - Fire (only anime). I think that combinations are Kekkei Genkai, only, as all combinations shown were Kekkai Genkais. I don't think that combinations of more than three are possible, because then, one nature would block the other (compare Suiton and Katon). Because there are five "base natures", there can't be a combination with more than four natures without blocking one. A ninjutsu with all five would just... do nothing, I guess. As written in the comments (thanks to JNat), it's possible to combine up to 4 elements at a time, if you order them correctly. Yes, they can. In NARUTO Hiden: Sha no Sho is stated, that shinobi can learn more than two and theoretically up to five natures. However, using them all at once in one attack could be... complicated. Since it's very hard to answer if it's possible to mix more than 3 chakra types (I doubt it was stated anywhere in the manga), I'll try to answer the two other parts of the question. Lets start from the easiest one: Can a ninja master more than three chakra natures? So we can say that he is a "master" of at least two elements, and definitely can use another two (he uses fire only in the anime, though). Now, taking that into account, I think it's safe to assume that it is possible to use all the elements. I've also seen opinions in the Internet (unconfirmed, though) that every shinobi can actually learn techniques of every element, but they just chose not to, and only use the element they have natural affinity to. This is a debatable, but interesting opinion. Now, to the question Are combinations of chakra natures taught or only transmitted by Kekkei Genkai (or both)? I believe, both. At least three techniques: Jinton, Yōton, and Jiton have more than one user with no apparent blood relations to each other. Also Ōnoki has stated that the secrets of Jinton were passed to him by Mū, so it implies (or at least suggests) that these abilities may not only be transmitted by Kekkei Genkai. So I would say that both of the ways are plausible. However, given the information we have now, it's impossible to be absolutely sure. Question 1: Are combinations of chakra natures taught or only transmitted by Kekkei Genkai (or both)? I think it's by teaching someone (but I won't exclude Kekkei Genkai). Just think about it. For example, Sasuke can master both Katon and Raiton, from which is (not guaranteed) born the Enton (Blaze Release). We can assume that his affinity is for Fire (Uchiha clan/Hidden Leaf) yet he was able of learning the Lightning style, and he learned all by himself the combination of those ('cause I can't remember seeing someone else from the Uchiha's with that release). Another example is the Dust Release, which was described about: Ohnoki was taught, and yes, I think he and Mu weren't from the same family, so that's with the teaching. I won't exclude Kekkei Genkai, because that's something "not uncommon yet powerful" so it can help the ninja. Question 2: Are combinations of more than three chakra natures possible? Practically, it's a smaller version of the main question. My answer is: if you can combine 3, you can combine 5. I can't expand the answer for this question, since we haven't seen such high skill combination. The Dust Release is 3, the Boil Release is 2 (but the Fifth Mizukage can use 3 types too). Question 3: Can a ninja master more than three chakra natures? Absolutely! Yep, you're right: Kakashi can use at least 4 (Fire, Lightning, Water, Earth) plus some idea about the Wind, but I think that's only because he's got the Sharingan. If he hadn't possess an eye like that, he would know like 2 types. To be honest, the only shinobi I could think of being capable of using at least 3, 4 for sure, don't know about 5, it's: Madara Uchiha. I'm not sure about the lightning style, but he can use the other 4. The Sage of Six Paths was capable of mastering all 5 elemental chakras. We got this from the fourth Shinobi war, when Tenten, someone inept at ninjutsu, picked up a Sage of Six Paths tool/fan and was capable of utilising all 5 chakras, which exhausted her very quickly. Secondly, when Naruto was given power by the Sage of Six Paths, the Sage of Six Paths gave Naruto chakra of all the bijuu. Bijuu each having their own nature, e.g. Son Goku's Lava style (Fire + Earth), which means Naruto had mastered all Kekkai Genkai, and if he was capable of using his wind style to make a Lava Rasen Shuriken, I see no reason why it isn't possible to master all 5 natures, as well as the secondary and tertiary, or even quarternary natures. It is possible to master and use every single chakra type. I know this is a very old question but since I saw a lot of small mistakes and stuff forgotten I have to lay light on them. My answer contains spoilers from events that take place after the Masked Man's identity was revealed. The Kekkei Genkai can be passed by teaching if the student has the required chakra nature - for a proof check what Oonoki said about Muu: that he learnt his Jinton from him. So Muu taught him the Jinton since Oonoki already had the required chakra natures. Another way to have a Kekkei Genkai is through transplantation. Examples of this include Kakashi's Sharingan, Nagato's and Obito's Rinnegan, Danzo's Sharingan, Madara's Wood Style, etc. It is possible to have more Kekkei Touta since changes in chakra nature have no limits. Actually, each couple of episodes we see some new jutsu from a combination of certain chakra natures, as long as you get creative enough. 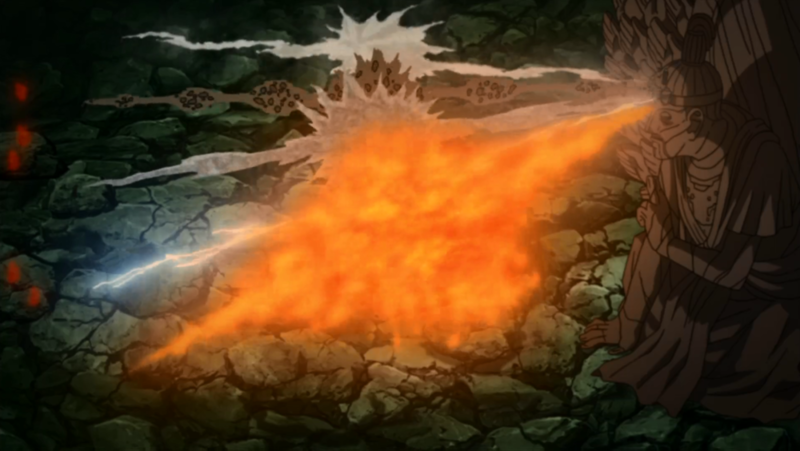 An example of this are Deidara's Explosion Release: it is, in fact, combined Earth and Lightning releases, but it is also clay that explodes. So we can think about it like this: it is Earth + Water forming clay, then adding Fire or Lightning to create the explosion (but it was already decided what Deidara's Explosions Release is, so we need to get creative, and maybe Water + Fire gives Boil, which when using Lightning with the steam will be filled with electricity, since water is a supporter for lightning). Some people speculate that no matter how you think about it, with any combination of more than 2 chakra natures, one of them will negate at least one of the others (Earth + Water gives Wood, with Lightning the wood will be destroyed since it's made of earth, so it's weak for lightning; Water + Wind gives Ice, with fire you melt the ice, or combining it with Earth or Lightning it makes no sense). Personally I think there can be a way around it, so we can have more Kekkei Touta. No sir, a Shinobi cannot master more than one chakra nature. But they can learn how to use more than one chakra nature — there are limits to what your body as a Shinobi can do, of course. The Third Hokage, Sarutobi Hiruzen, is able to use the 5 main chakra natures. He uses Yin and Yang too, and that's why he was called the Professor of Konoha, and as I recall the god of Shinobi or the god of Jutsu, for knowing so many chakra natures and every jutsu in Konoha. Another fact is that Rinnegan users can use all chakra natures and their combinations with no exception, as Madara showed us after gaining the power of the Six Paths: he used the Ranton (Water+ Lightning), and Madara normally only had Fire style. With the Rinnegan, we know, he had all chakra natures and he also used combinations. Also, Kakashi doesn't use the chakra natures in his 1000 jutsu: he just copies the chakra flow and hand signs to make the jutsu like its owners. 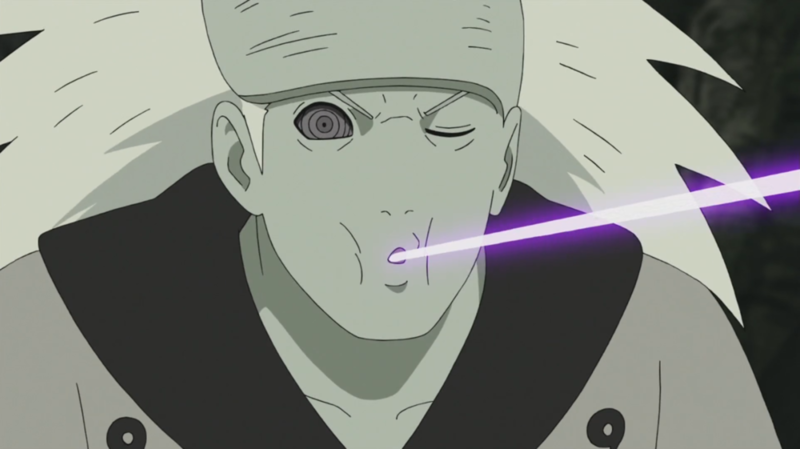 And Kakuzu only uses chakra support system: Water to enhance Lightning, and Wind to enhance Fire. But he doesn't use combinations — Kekkei Genkai — and he only mastered earth style, the others are from different Shinobi. In the episode where Kakashi battles Kakuzu, Kakuzu attacks with a massive fire attack. To counter this, Naruto and Yamato combine a water element attack and a wind element attack. They were successful in averting the attack. water -> fire -> wind -> lightening -> earth -> water. what we can see here is: water + wind = strong attack and fire + wind = strong attack. So, can it be assumed that there are some elements that are more like support to the other elements, like in this case wind is the support element to both water and fire. Yes but mostly only by the Uchiha clan like Sasuke, Itachi etc. Because they have the copy wheel eyes (aka sharingan )they can learn all five jitsu by copying and observing them. Is the nature of chakra hereditary? How can Obito combine 4 different nature transformations? What constitutes as an Yin/Yang/Yinyang element technique? How come Naruto's Chakra responds to Wood Elements? How is the ability to use chakra alloted? Sources for Christian themes and motifs in Naruto? How do Toads in Naruto produce Oil? Why didn't Naruto's Rasengan beat Sasuke's Chidori?